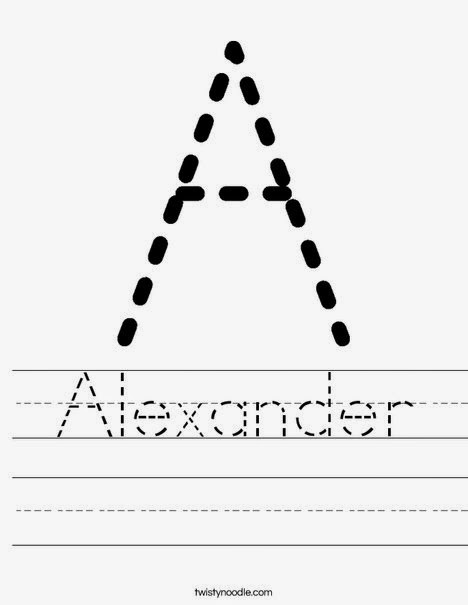 As a teacher, I use these handwriting sheets all the time for the little ones, but it never occurred to me until I saw a pin of a personalized writing sheet with the student's name on it (now, again, I have done this millions of times, but it never really "hit" me until now). I thought, what a fun, easy and CHEAP way to produce some new wall art for any kiddo's room?!? So I tried it and it was SO simple. All you really need is the internet, a computer and printer - and frames if you choose to hang these adorable name prints later on. If you are ready for a quick "how-to", keep scrolling and have fun! Step 1: Go to www.twistynoodle.com and click on the Letters tab at the top. 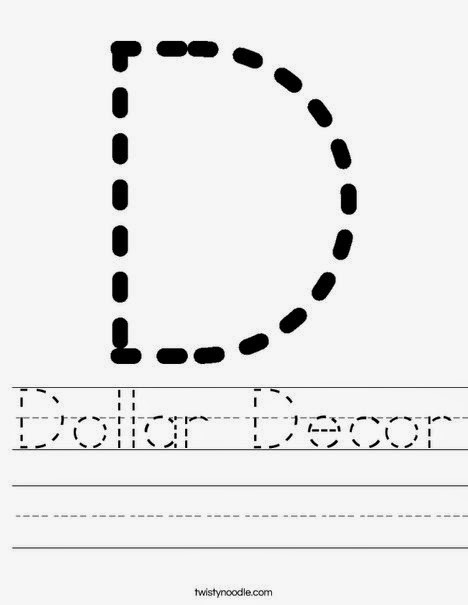 Step 2: Once on the Letter Worksheets page, to create your own customized letter worksheets, pick the letter you would like to use. I chose E for Everett (obviously, lol). Step 3: Then, choose the template you would like to edit. I can't get enough of the dotted handwriting letter sheets. The teacher in me just swoons. I do love the sign language sheets as well. Step 4: Customize your sheet by typing in whatever text you want to see on your page. I just typed in Everett's name, but you could really type anything that suits your fancy. 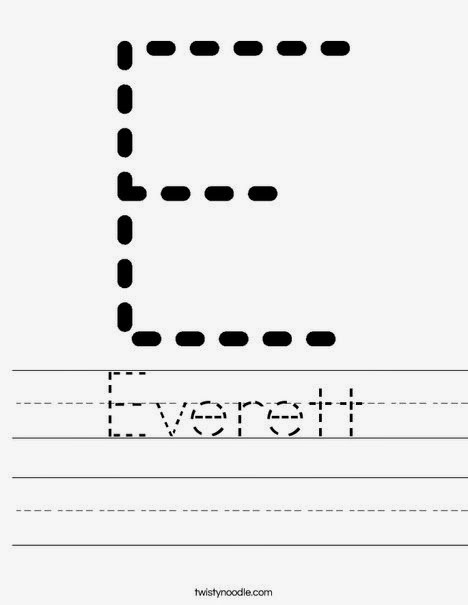 I might do something like "E is for Everett" or "Everett begins with the letter E" next. The possibilities are endless! Step 5: Once your preferred text is typed, simply hit the submit button and your preview will appear on the left. Step 6: If you are satisfied with your finished product, hit print and you are finished! Easy peasy! You can also right click on the worksheet picture and save as an image for later use. --Trace with dry erase markers and wipe off with old socks (little ones love this!). --Roll out play-doh and form letters on top of printed letters. --Use finger paint to trace letters, better yet, use pudding and then let your kiddo lick their fingers. 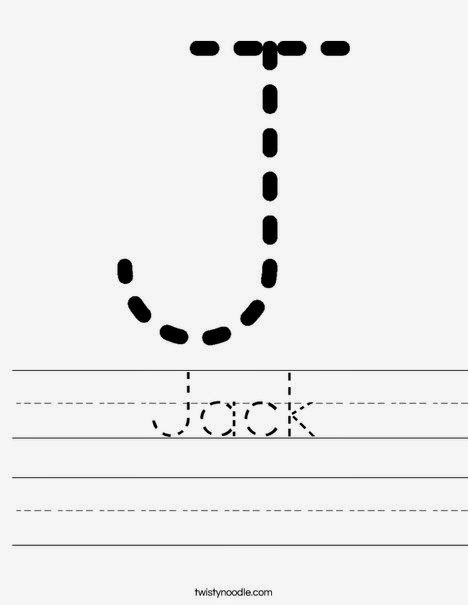 --Use as a place mat and trace with fingers during meal time. Sounds fun! kids will love this..